Dr Khalid Elamin completed his higher gastroenterology training in East Anglia and Newcastle where he spent a year of subspecialist training in pancreatobiliary diseases and advanced biliary; ERCP and Endoscopic Ultrasound (EUS). In 2009, he was awarded a travelling fellowship to South Carolina, USA to study advanced ERCP and EUS with world-renowned Professors Peter Cotton and Robert Hawes. In 2013 he became a fellow of the Royal College of Physicians (London). 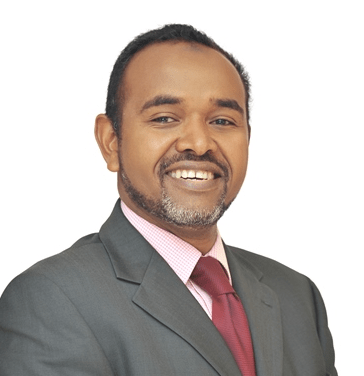 Dr Elamin has a broad-spectrum practice covering all aspects of gastroenterology. His special interests are pancreatobiliary diseases, advanced biliary (ERCP and EUS) and therapeutic endoscopy, GI oncology and Inflammatory Bowel Disease (IBD). He has developed the endoscopic ultrasound service in two hospitals and led upper GI cancer team. Pancreatobiliary diseases, advanced biliary and therapeutic endoscopy, GI oncology and Inflammatory Bowel Disease (IBD).